William Ideson was born in Bilsdale, Yorkshire in 1887. He was the son of George William Ideson, a farmer, born in Sutton, near Thirsk in Yorkshire, and Annie Elizabeth Garbutt who was born in Appleton Wiske, Yorkshire. George married Annie in 1886 in Stockton district, but by 1891 they were living at “Staindale”, Bilsdale Midcable, with the children of their marriage, William and Elsie, and Annie’s daughter Ada Garbutt. In 1901 they had moved to Little Broughton and another son, Edwin, had been born. In 1911 George and Annie were living in Pond house, Broughton with Edwin, but William had already embarked on a career as a soldier. William Ideson had joined the army in 1906. According to his attestation papers he enlisted as No. 25958 in the Royal Garrison Artillery, at Middlesbrough on 19th December 1906. He was then aged 19 years and 11 months, and was described as having a fresh complexion, blue eyes and light brown hair. He had “marks” on the back of his neck and left thigh. On enlistment he was 5’ 8”, weighed 140 lbs and had a chest measurement of 39” expanding to 42”. After 6 months training he was 5’ 8”, weighed 162 lbs and had a chest measurement of 41” - expanding to 46½”. He seems to have been a very fit young man when he enlisted, but his training had apparently made a real man of him! William Ideson was posted to India on 22nd January 1908 where he remained until 30th September 1911. In the 1911 census he is listed in Attock, India as a gunner with the 73rd Company RGA. He was discharged from service at Barian, a town in the northern Punjab, “at his own request on payment of £18”. Whilst in the army he had received certificates in Education, 2nd and 3rd class, and in Signalling 1st class. 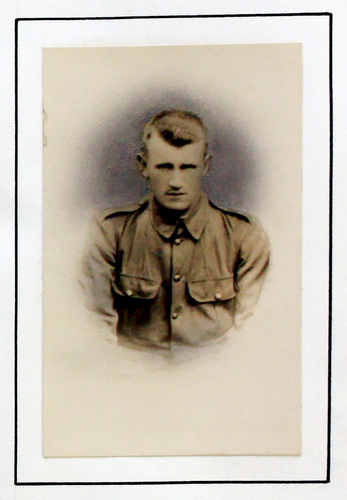 The Book of Remembrance tells us that William Ideson was a farmer at Great Busby prior to re-enlisting at Stokesley. He was sent abroad in 1917 and fell on 12th January 1918. Corporal Ideson was 30 years old when he fell. He was awarded the British War Medal and Victory Medal and his body lies in plot IX C 16 of the Rocquigny-Equancourt Road British Cemetery, Manancourt. Go to next soldier: Johnson A.E.